We are a specialist producer, supplier and blender of additives for the oil industry. We have nearly 20 years of experience with working on vessels, terminals and refineries which makes us the ideal partner in additives to correct or upgrade any parameters of your petroleum product. Scandinavian Oil Services AB carries a wide range of products, mainly our own chemistry but we also offer specialist products from reliable partners. Scandinavian Oil Services AB’s ambition is to cater for every need our clients might have. Apart from doping services we can assist with everything from sample taking to courier services. Our main storage is located in Rotterdam which acts like a hub for supplying the european continent on short notice. We also have storages on Malta and in Sweden. 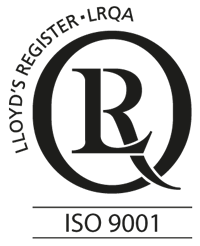 As of May 2017 Scandinavian Oil Services AB is ISO 9001:2015 certified. This international certificate of quality ensures all processes regarding storage, delivery and handling of our products are done in the most professional way possible. Scandinavian Oil Services AB was founded in 1996 and focused mainly on treating water contaminated oil being stored in Sweden's many caverns. As the company grew, focus was switched to the international markets and a storage hub was set up in Rotterdam. Today we deliver all over Europe normally within 48 hours.